On the market is a 2,100 sq ft, four-bedroom penthouse at Espira Spring that has an asking price of $1.8 million ($857 psf). “The owner is looking to buy a landed property after selling the unit,” says Sherry Tang, director at AsianPrime Properties, who is the marketing agent. The owner is selling the unit with vacant possession, she adds. The living room of the penthouse faces north, while the main door is south-facing, says Tang. “The duplex unit offers unobstructed views of the CBD as well as the fireworks display in the Marina Bay area during National Day celebrations,” notes Tang. The last time a penthouse of a comparable size was sold at Espira Spring was in January 2013, when a 1,959 sq ft unit was sold for $1.7 million ($868 psf). 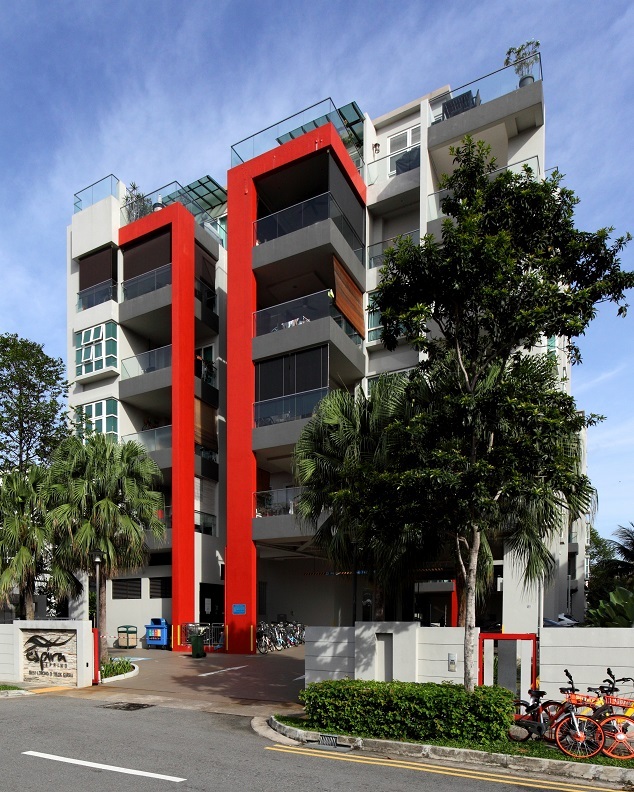 Last November, a smaller penthouse (1,539 sq ft) at the freehold development was sold for $1.45 million ($942 psf). Located at the intersection of Lorong G Telok Kurau and Lorong 110 Changi, the 30-unit Espira Spring is about 550m from the Kembangan MRT station. It was developed by World Class Land, the luxury property development arm of Mainboard-listed Aspial Corp, and completed in July 2009. Besides Espira Spring, World Class Land has built several developments in the Katong-East Coast district, including the 32-unit Palm Vista, across the road from Espira Spring; the 56- unit Palm Oasis on Lorong H Telok Kurau; and the 40-unit The Espira on Lorong L Telok Kurau. It also developed the 65-unit Heritage East on East Coast Road, which comprises a mix of conserved colonial shophouses and contemporary housing. Heritage East was completed in 2012.